WHEN WILL MEETINGS BE TAKING PLACE IN THE PROCESS OF DEVELOPING FY'20'S BUDGETS? DONE: Cuts to Selectmen, Education and Capital budgets - Tuesday April 2nd, Board of Finance "deliberation meeting"
At a Special Board of Finance Meeting The mill rate for Fiscal Year 2018-19 was set at 29.39. This represents an increase of 1.66% or .48 mills over the present fiscal year. can alter this (i.e. collection rate assumption, etc.). The FY'19 Town, School and Capital budgets all pass easily with 634 voting (32 absentee). ATBM APRIL 18, 2018. 8PM, WHS AUDITORIUM; BRING I.D. - No quorum. second Referendum, total voting 1001 - and the school budget passed 688 to 313. Meeting is held and bottom line is: no changes after 2 hour discussion of how to adjust for worst case scenario re: State of Connecticut budget problems coming home to affect Weston. THERE WAS A "FIRST TIME FOR EVERYTHING"... last year. Graphic Explanation of the Budget Process; Written Budget Process FY'17 Dates. RECTANGLES (6) show order of steps in the process, no public verbal input, for Town boards, to process end - which is a mandatory Referendum. CIRCLES (3) indicate for public input by voice or vote; FY'16 public input meetings/PH dates/Referendum. "Dotted line" procedural moves in the event all or part of the Referendum is rejected by the voters and how the Board of Finance has the main role. The same thing, but with text (note the larger-type explanation of ATBM above). Either way you do the table, you still need a quorum of 130 for ATBM to act! School Budget, Question #2 in the Referendum, fails - Yes 127, No 132, on April 30th...Referendum #2 only on Question #2 (#1 and #3 passes) scheduled for Saturday, May 16, 2015 in Town Hall Meeting Room from 9am to 5pm - 688-313. Listen to Moderator Bob Uzenoff call out the results here. 1001 votes total!!! 688 votes yes, 313 votes no. held the vote in Town Hall - new residents who's land records qualified them! it is time to do your civic duty. 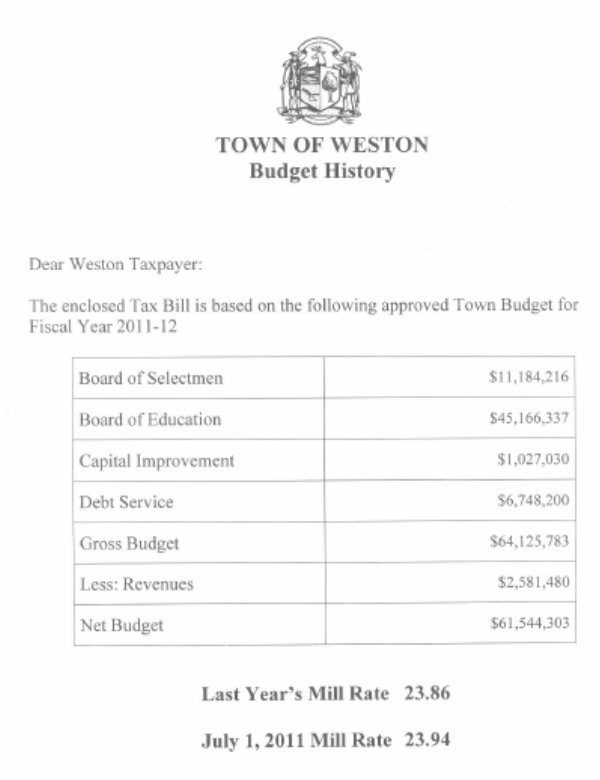 The League of Women Voters of Weston Reminds You of Your Role in the Town of Weston Budget Process. REFERENDUM #1 - SCHOOL BUDGET GOES DOWN - WHAT DOES THE CHARTER SAY IS THE NEXT STEP? BUDGET PROCESS FY'17 BEGINNING...QUORUM AT A.T.B.M. NOW A NUMBER - 130 (APPROVED NOV. 4, 2014). 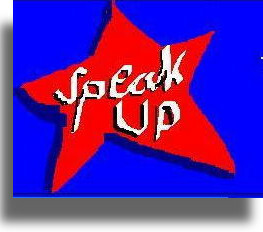 "Speak Up" February 27, 2016 - the budget train will already be "out of the station" and in the hands of the Board of Finance by then, according to the schedule! In televised reviews on the Town TV Channel 79 of both the Town and Education Budget, the Board of Finance takes in the presentations, asks for more backup, asks questions and then spends a long time studying the budgets "off-line" and out of public view. At the Board of Finance Public Hearing, two weeks or so before ATBM, detailed questioning of those who made up budgets for department expenses can be made by the public, but rarely are. Maybe it is because no one really knows the detail of what the individual budgets include? The lack of a quorum at the last two ATBMs has meant that no one actually has heard discussed by the public what is in the budget as recommended to ATBM before they go to a Referendum to vote "yes" or "no" on Town, School and Capital budgets. 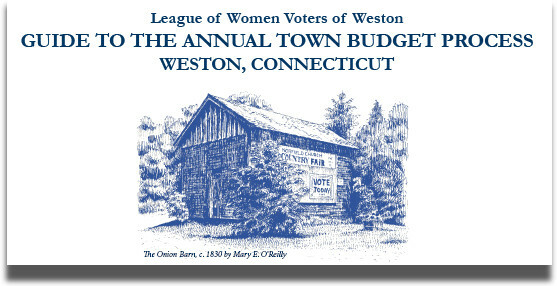 The League of Women Voters of Weston pledges to inform Westonites on budget topics in the budget process in 2016! Election 2014: How many people have ever been at the polls to hear Election results called out? Last minute change to format by...who? Board of Finance "deliberation" added in a 5th day for Senior Center...will ATBM confirm this??? By default, yes. No quorum on April 23, 2014.
the Annual Town Budget Meeting. Qualified voters include registered voters as well as U.S. citizens on the Weston Grand List owning property of $1,000 or more. The Registrars request that voters remember to bring identification (driver’s license, credit card, utility bill, etc.) with them to expedite the process. 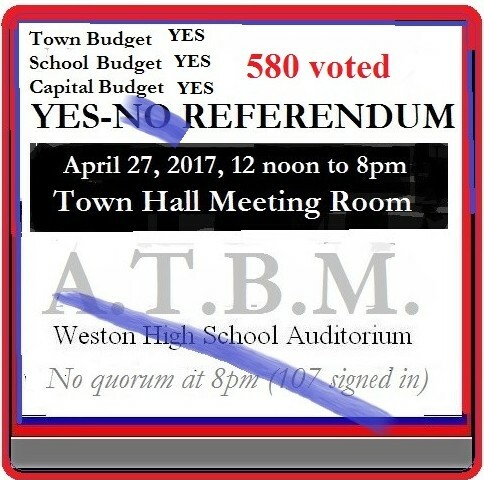 Once the budget numbers have been established by the ATBM, voters will have an opportunity to vote that evening on the budget by machine (referendum) in the Weston High School Library. At that time, voters will be given a ballot and checked off the list as having voted. For those unable to vote that evening, referendum voting will continue on Thursday, May 1st in the Weston Middle School gymnasium from 12:00 pm until 8:00 pm. Voters can also vote by absentee ballot beginning on Thursday, April 24 thin the Town Clerk’s office during regular business hours: Monday-Friday, 9:00 am until 4:30 pm. Once voting has ended on May 1st, the Moderator will read the combined results of both voting sessions. Weston First Selectman Gayle Weinstein has no illusions about the municipal budget being developed for the next fiscal year. “It’s a tough budget year. It’s going to be ugly,” she said. After enjoying several years of a “flat” budget — with little to no increase — this year, taxpayers will undoubtedly see the overall budget go up, which means taxes will increase. The official grand list numbers are usually calculated by the beginning of February. Taxpayers are also facing some overruns already in the current year’s budget, which may impact next year’s. The schools have reported a possible half-million-dollar shortage due largely to unanticipated special education costs and security costs. The Police Department is also looking at cost overruns because of increased time demands for patrolling School Road (dubbed the Mile of Safety) and investigating several complex cases this year. And so the budget season — that time of year when department heads and school administrators are crunching numbers, looking for savings while still lobbying for improvements — is in full swing in Weston. 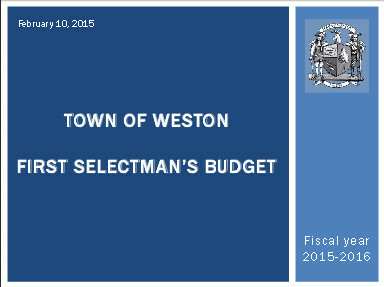 At a recent forum on the way Weston’s government is organized, First Selectman Gayle Weinstein gave an overview of Weston’s budget process. 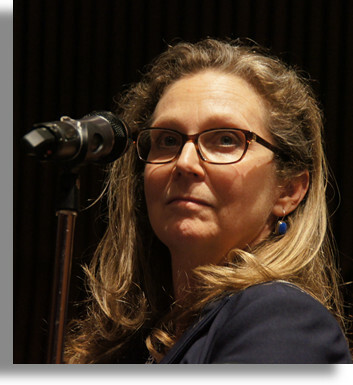 Ms. Weinstein acknowledged that the “New England form of government” can be confusing, especially because things like the municipal budget process is slightly different in every town. 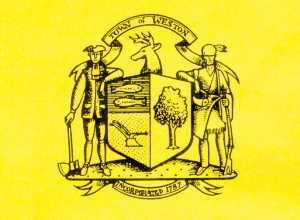 In Weston, the town budget process begins about this time of year (late November and early December), Ms. Weinstein said, when town departments are given general parameters and are asked to develop budgets for the next fiscal year, which runs from July 1 to June 30. Initial department budgets are submitted to the town administrator. Then the head of each department meets with the town administrator, the first selectman, and the finance director to review the budget request and to decide if adjustments need to be made. When department budgets are finalized, they are combined into the town budget, which the first selectman brings to the Board of Selectmen, which votes to approve a budget to send to the Board of Finance. The finance board vets the town budget, holds a public hearing to get feedback, then votes on a final budget to bring to the Annual Town Budget Meeting (ATBM) for a vote. Ms. Weinstein explained that the school board has a similar budget process. School principals meet with department heads, then the superintendent and schools finance director meet with the principals to develop initial budgets. The school board then holds budget workshops to review the department and individual school budget requests. The board then votes to approve a budget, which then goes to the Board of Selectmen for review. The selectmen do not have the power to reduce or increase the school budget; they may only make recommendations before sending it to the finance board for review. All budget requests shall be made on or before January 14th of each year, except that the Board of Education request shall be made on or before February 3rd. These requests shall be filed with the First Selectman and shall contain a detailed estimate of expenditures and revenues, other than tax revenues, in the ensuing Fiscal Year. Except for the request by the Board of Education, such estimates shall be accompanied by a statement setting forth, in such form as the First Selectman may prescribe, the services, activities and work accomplished during the current Fiscal Year and to be accomplished during the ensuing Fiscal Year. (c) itemized expenditures for each Town department and each Board and Commission for the last completed Fiscal Year, expenditures for the current Fiscal Year prior to the time of preparing the estimates, total estimated expenditures for the current Fiscal Year, and the First Selectmen’s recommendations for the ensuing Fiscal Year for all items except those of the Board of Education, which the First Selectman shall transmit to the Selectmen as submitted to the First Selectman by the Board of Education. The First Selectman shall present reasons for all of the First Selectman’s recommendations. As part of the budget of the First Selectman, the First Selectman may present a program previously considered and acted upon by the Town Planning and Zoning Commission, in accordance with Section 8-24 of the General Statutes, of proposed municipal improvement projects for the ensuing Fiscal Year and for at least the five Fiscal Years thereafter. Estimates of the costs of such projects shall be submitted annually in the form and manner prescribed by the First Selectman. The First Selectman shall recommend to the Board of Selectmen those capital projects to be undertaken during the ensuing Fiscal Year and the method of financing same. The Board of Selectmen shall review the First Selectman’s proposed Annual Town Budget, including the proposed budget of the Board of Education. The proposed Annual Town Budget, including such alterations or changes deemed necessary by the Board of Selectmen, shall be presented to the Board of Finance not later than March 1 of each year. The proposed Annual Town Budget shall include the budget proposal of the Board of Education, but any changes to the Board of Education’s proposed budget as may desired by the Board of Selectmen shall be in the form of recommendations only. (a) After the Board of Finance has received from the Board of Selectmen the recommended Annual Town Budget, the Board of Finance shall hold one or more public hearings at least two weeks before the date of the Annual Town Budget Meeting, at which any Qualified Voter may be heard regarding the recommended appropriations for the ensuing Fiscal Year. At least ten days in advance of any such public hearing, the Board of Finance shall give Public Notice of such public hearing, together with the proposed appropriations of the Board of Selectmen and the proposed appropriations of the Board of Education, in condensed form. Sufficient copies of the proposed appropriations shall be made available for general distribution in the office of the Town Clerk, online and at the public hearing. At the public hearing the First Selectman shall present the recommendations of the Board of Selectmen regarding the composition of the Annual Town Budget and the individual appropriations comprising the Budget for the ensuing Fiscal Year. 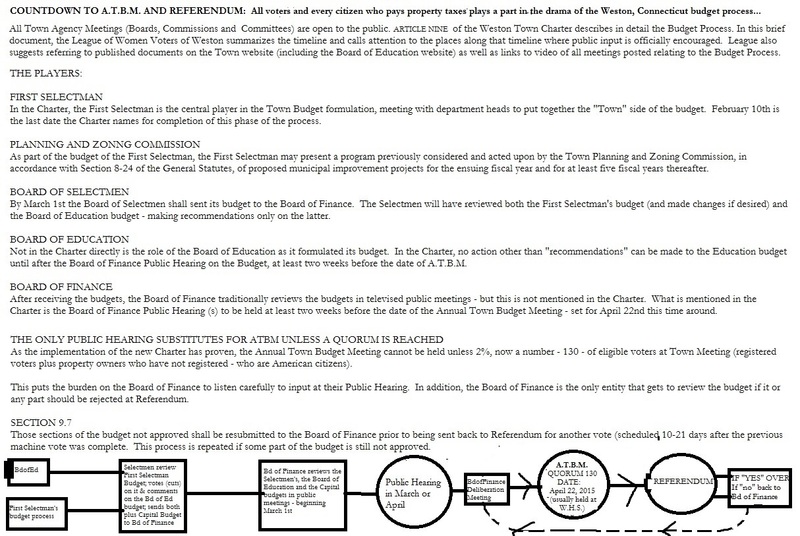 (b) After the public hearing(s) the Board of Finance shall make such revisions to the proposed appropriations as the Board of Finance deems advisable and shall thereafter recommend the proposed appropriations (as revised by the Board of Finance, if applicable) to the Annual Town Budget Meeting. (a) The Annual Town Budget Meeting shall be held not later than the end of the first full week in May of each year. It shall be called to order at 8 PM and, if it has not completed its business by 11:30 PM, the moderator shall adjourn the Meeting to 8 PM of successive evenings (adjourning at 11:30 PM if necessary) excepting Saturdays, Sundays and Holidays, until its business is completed. Public Notice of the Notice and Call of the Annual Town Budget Meeting shall be published at least five days prior to the Meeting. The published and posted Notice and Call shall be accompanied by the proposed appropriations, in condensed form, as recommended by the Board of Finance for the ensuing Fiscal Year. (b) The Town Clerk shall ensure that sufficient copies of the proposed appropriations are made available for general distribution in the office of the Town Clerk at least five days prior to the Annual Town Budget Meeting and at that Meeting. 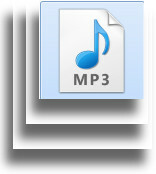 (vi) contain any other information required by the General Statutes or the Charter. Sufficient copies of the Notice and Call shall be made available for general distribution in the office of the Town Clerk, online and at the Annual Town Budget Meeting. (iii) the consideration of any proposed decrease in any individual appropriation pursuant to Section 9.5(d)(ii) above shall be by secret ballot if requested by a number of Qualified Voters equal to not less than one-third of those Qualified Voters present at the Meeting. (iii) the proposed capital improvement budget. The voting shall commence immediately after the Annual Town Budget Meeting and shall continue that day as long as necessary, in the judgment of the Registrars of Voters, to accommodate all those seeking to cast votes at that time. Voting shall recommence between seven and fourteen days following the Annual Town Budget Meeting, and shall occur during the hours permitted by Section 7-7 of the General Statutes. Each component of the proposed Annual Town Budget set forth above shall be approved if a majority of Qualified Voters who vote approve that component. At the discretion of the Board of Selectmen, the ballot may permit any Qualified Voters who wish to reject a proposed component or components of the Annual Town Budget to indicate whether they would reject the proposed component(s) because they are too high or because they are too low. proposed component(s) of the Annual Town Budget shall be approved if a majority of Qualified Voters who vote approve such component(s). 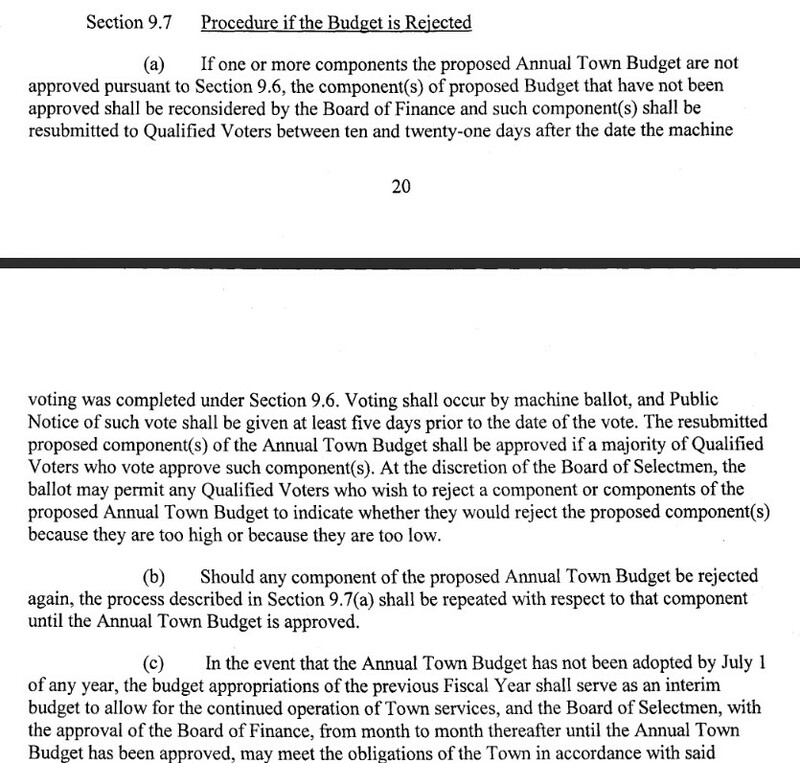 At the discretion of the Board of Selectmen, the ballot may permit any Qualified Voters who wish to reject a component or components of the proposed Annual Town Budget to indicate whether they would reject the proposed component(s) because they are too high or because they are too low. (b) Should any component of the proposed Annual Town Budget be rejected again, the process described in Section 9.7(a) shall be repeated with respect to that component until the Annual Town Budget is approved. 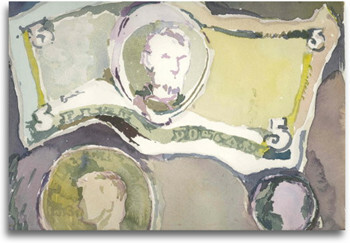 (iv) by a combination of two or more of these means; provided that if option (i) or option (ii), or a combination of them, is utilized, then within ten days after the Annual Town Budget has been approved the mill rate shall be fixed sufficient to fund the total anticipated obligations of the Town during the remainder of the Fiscal Year, including the repayment of all tax anticipation notes outstanding. days after the approval of the Annual Town Budget, the Board of Finance shall, by resolution, fix the tax rate in mills that shall be levied on the taxable property in the Town for the applicable Fiscal Year. Town Meeting - The Town Meeting form of government is a link with history. It grew out of decision-making used in the American colonies over 300 years ago. 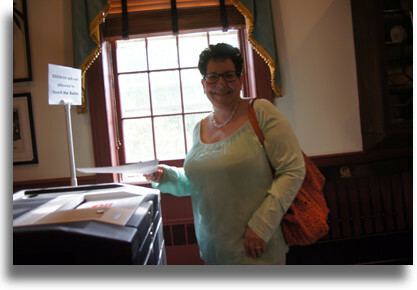 It is the purist form of democrary - one person, one vote - and is used in a majority of municipalities in Connecticut. Under the Town Meeting form of government, every qualified voter is a legislator of the town. The major legislative power of the town is vested in the Town Meeting. The remaining legislative power is vested in the Board of Selectmen. 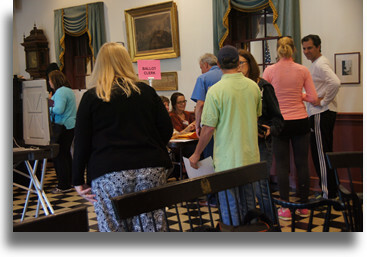 Qualified Voters for Town Meeting - All registered Weston voters are members of the Town Meeting. In addition, U.S. citizens 18 years or older, who own property in Weston assessed at $1000 or more, but are not registered voters, may participate and vote. ACTION at the Town Meeting is taken by a majority of qualified voters present and voting. Annual Town Budget Meeting (ATBM) - The purpose of the Annual Town Budget Meeting is to achieve a budget for the upcoming fiscal year. The Town Budget consists of the Selectmen's Budget (line items for each town agency and service), the Board of Education Budget (which is one line item), and the Capital Budget (items from all agencies and the Board of Education which cost over $10,000 and with a life expectancy of 10 years or more). The last is reviewed by the Capital Planning Committee, an informal, advisory committee of the First Selectman. WHERE ARE WE NOW? On to ATBM April 4, REFERENDUM April 12..
As described below, the schedule for reviewing and voting on the 2012-13 budget was approved by the selectmen with no changes. Last Friday, Nov. 18, budget packages were mailed to all municipal departments, which must return their budget requests to the town administrator by Thursday, Dec. 15. 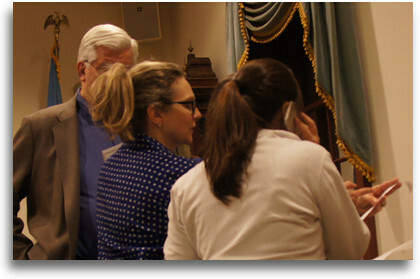 Department heads meet with the first selectman, the finance director and the town administrator the first week of January 2012. Revisions are due Thursday, Jan. 12. The town and school budgets must be submitted to the Board of Selectmen by the end of January. The Board of Selectmen is scheduled to review the town budget on Monday, Feb. 13, and the school budget on Tuesday, Feb. 14. The selectmen vote on both budgets (MISTAKE - they have no control over the Education budget) at their Thursday, Feb. 16 meeting. The Board of Finance will review the town budget Monday, March 5, and the school budget Wednesday, March 7. A public hearing on both budgets will be held Tuesday, March 13, at Weston Middle School at 8 p.m. On Thursday, March 22, the finance board deliberates and votes on the final budget to go to voters. 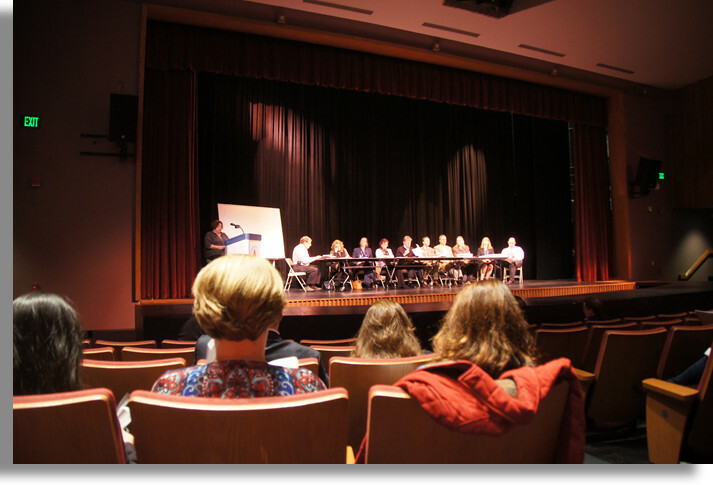 The Annual Town Budget Meeting (ATBM) is set for Wednesday, April 4, at 8 p.m. in the high school auditorium. The ATBM-approved budgets go to referendum on Thursday, April 12. Board of Finance meets later to set mill rate. Why: To approve the $65-million town, school, capital, and debt service budget proposals; capital and debt service budgets will be final, while school and town budgets approved at ATBM will go to a machine vote Thursday, April 12. • A total capital budget of $1,401,783 ($1,147,000 town, $470,238 schools, less $215,455 in revenue offsets) is a 36.49% increase from the current budget. • The total gross budget is expected to be offset by revenues of $2,668,566, making the net budget $62.378 million, a 1.36% increase over the current net budget. 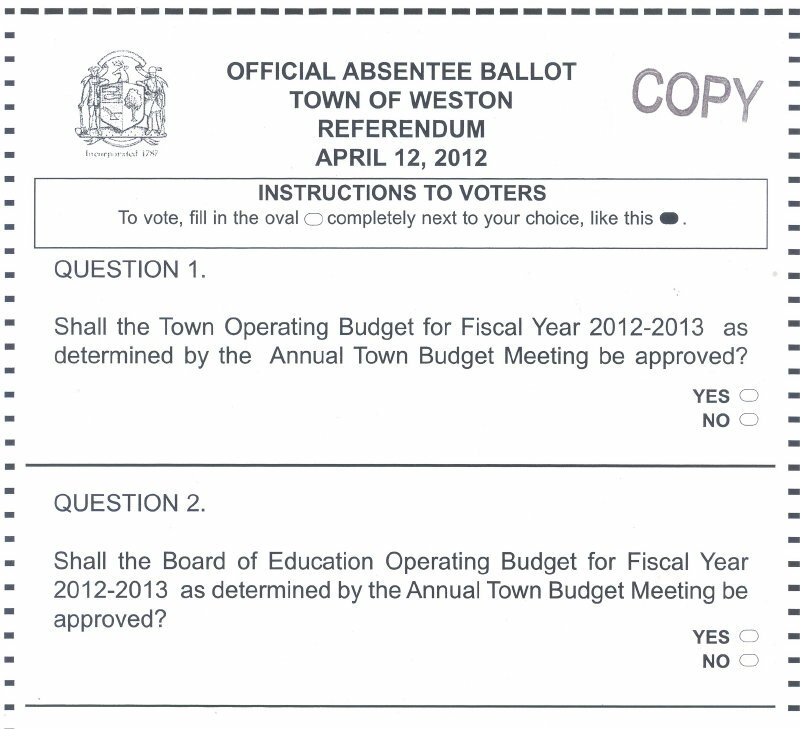 The Weston Board of Finance voted on final proposed town, school and capital budgets to send to the voters. At a budget meeting held Wednesday, March 21, the board approved a proposed town operating budget of $11,408,552, a 2.01% increase over the current year. That number is $16,000 less than proposed by the selectmen, and comes from an increase in a revenue offset from an enterprise fund. The selectmen had proposed taking $122,000 from the town’s cell tower enterprise fund to help pay for operating the communications center. The finance board voted to increase the revenue offset to $138,000. This lowers the proposed increase in the town operating budget from 2.16% to 2.01%. The finance board approved the school operating budget exactly as proposed by the Board of Education, at $45,587,192, a 0.93% increase over the current year. All Town Agency Meetings mentioned below (Boards, Commissions and Committees) are open to the public. The dates mentioned below come from the CHARTER. In late November the Board of Education invites public input as the budget assumptions and enrollment projections are discussed. Before January 14th, citizens may submit suggested additions for the First Selectman's budget to the Town Administrator. All Town Agencies except the Board of Education submit estimates to the First Selectman. The Board of Education, in early January "review" meetings, adopts its budget; after this time the school budget cannot be raised. By January 14 proposed Capital Budget items must be submitted. For complete details of the budget process, see the Town Charter and the Moderator's Handbook, available at Town Hall. By February 3rd the Board of Education submits a preliminary budget to the First Selectman. Prior to this time, the Board of Education has approved its own budget. ONCE PASSED BY THE BOARD OF EDUCATION, THE SCHOOL BUDGET CANNOT BE RAISED. By February 25th the Board of Selectmen presents the proposed preliminary Town Budget to the Board of Finance. After this time, the Selectmen's budget cannot be raised. Changes desired by the Board of Selectmen to the budget proposal of the Board of Education can be in the form of a recommendation only. The Board of Finance holds one or more Public Hearings on the Board of Education Budget, the Selectmen's Budget and the Capital Budget. After Public Hearing (s), the Board of Finance may "revise" any budget line as it deems advisable. This has been traditionally been interpreted as "reduce". At least five days before the Annual Town Budget Meeting notice of the "call" of ATBM is published in a local newspaper and copies of the proposed Town Budget and tax rate are available at the Town Clerk's Office. No later than April 22nd the Annual Town Budget Meeting (8pm to no later than 11:30pm [8:30pm to no later than 11pm]--if business is not concluded before 11:30pm[11pm], ATBM reconvenes the following night [s]). After ten days, if there has been no challenge, the budget is deemed adopted. The ATBM can only APPROVE or REDUCE any line item proposed by the Board of Finance. 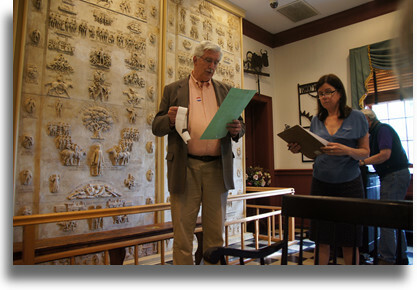 Get a copy of the LWV of Weston pamphlet at the Town Clerk's Office--this is really complicated!!! 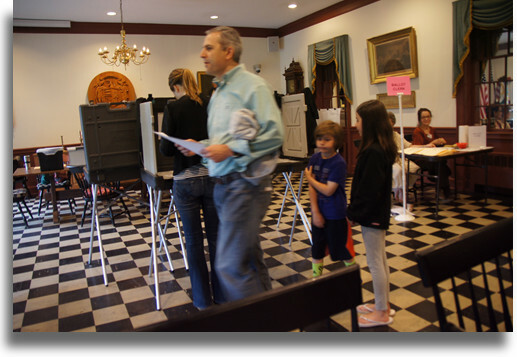 No matter how it happens--either before or after the Annual Town Budget Meeting--a challenge "to the machines" to vote in private on the budget will always require a return to Town Meeting...which has the final word! See Charter Revision Commission'a now approved changes (#2 and #3). Additional Appropriations - Up to $5000 for any agency may be made by the Board of Selectmen. Total for all agencies not to exceed $50,000 per year. Supplemental Appropriations - May be made by the Board of Selectmen with the approval of the Board of Finance, provided the total sum does not exceed 2% of the current tax levy in any fiscal year. Extraordinary Appropriations - May be applied for by any town agency to both the Board of Selectmen and the Board of Finance. If not approved by either Board, the agency may request a Special Town Meeting. At such Town Meeting a minimum of 10% of qualified town voters is required to take action. A majority of that 10% is required to pass the extraordinary expense. 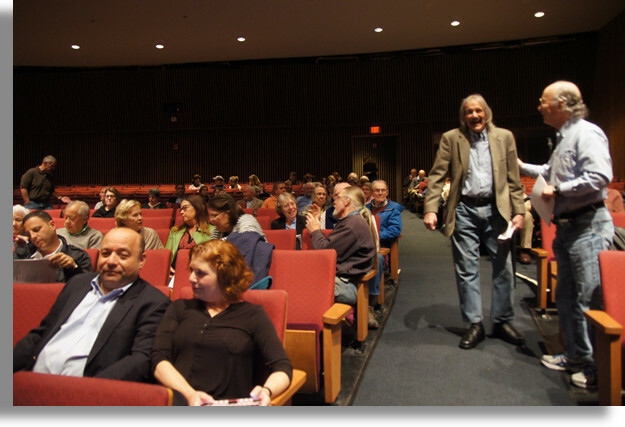 If a petition for a machine vote (Ct. General Statutes Section 7.7 required 200 signatures) is filed against the Call of such Town Meeting, after discussion, the Town Meeting is adjourned and a machine vote is held not less than 7 or more than 14 days thereafter. A majority of 10% of all qualified voters is needed to pass the appropriation. RESOURCES: Charter Revision of 2011-12 passed on a yes-no vote. 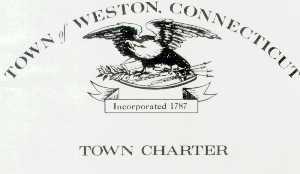 Town Charter (on-line version--Charter Revision in 2003: ATBM now begins at 8pm, one half hour earlier and ends at 11:30pm, one half hour later); Administrative Code and copies of the LWV of Weston publication available at the Town Clerk's Office in Weston Town Hall. Please find here the WfFR Symposium (Oct. 20, 2010) report in the Weston FORUM newspaper of October 28, 2010.